1. Google recently removed suspected reviews from business listings by running review spam updates. As a result, many reviews of small businesses were dropped from local knowledge panels. Google’s guidelines clearly say that businesses shouldn’t offer money to people for writing reviews as it impacts the credibility of the review. You can expect this to happen twice a year, so be prepared for that and avoid any paid reviews. 2. After trying her level best, Yahoo CEO, Marissa Mayer still failed miserably. Yahoo is officially for sale! However, the board members are still trying to figure out ways to keep Yahoo’s big shareholders happy, but it seems like that's not working. 3. One of the earliest internet start-ups, Peapod has joined hands with Washington Metro to provide services like never before. Now people of Washington can order their groceries online and receive them at their destination stop. That's the most convenient way to “stop by for grocery” on the way home. 4. Building links for local businesses command different strategies as compared to traditional link building. Here are 10 local link building tips you may find useful. 5. Enhance your SEO efforts by employing these invaluable tips by seasoned SEO professional, Phil Rosek. 6. You may want to try the newly released JSON-LD schema plug-in for WordPress websites as it has received many good reviews. 7. Amit Singhal, the head of Google's internet search business left the company on 26th Feb and was replaced by the head of artificial intelligence, John Giannandrea. The current shift demonstrates the growing importance of Artificial Intelligence in search engine business. 8. Google announced JSON-LD support for Reviews and Products structured data Markup. 9. If you want to boost your local presence and sales, refer to this article by Garret French. This one is pure gold! 10. Many media outlets have claimed that Amazon is about to open 300-400 bricks & mortar bookstores. Experts say that this is more for branding purposes than actually increasing the sales because the presence of Amazon itself will remind users that they can find anything and have it wrapped & delivered. 11. Google has revamped mobile travel search in order to provide more precise information. 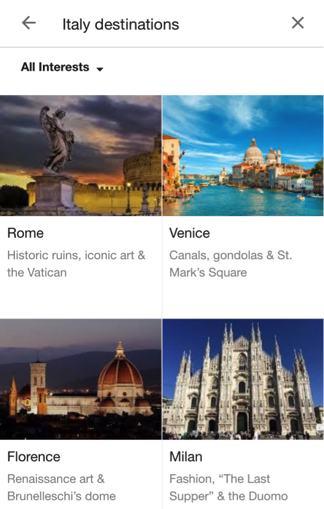 Now if you search for travel destinations, it takes you from the search to give you a curated tour instead. 12. Now you can book an Uber ride using Amazon's Echo. You can also order a pizza from Domino's using Echo or an Apple watch. Convenience at its best. 13. After Amazon, Facebook and Google, now Yelp is focusing on the rapidly growing home services industry. Yelp recently tested “Request a quote” call out, in both search results and business listings. 14. Amazon never fails to amuse us. After surprising users with drone deliveries and other cool techniques, Amazon is now experimenting with an entirely different concept in retailing. 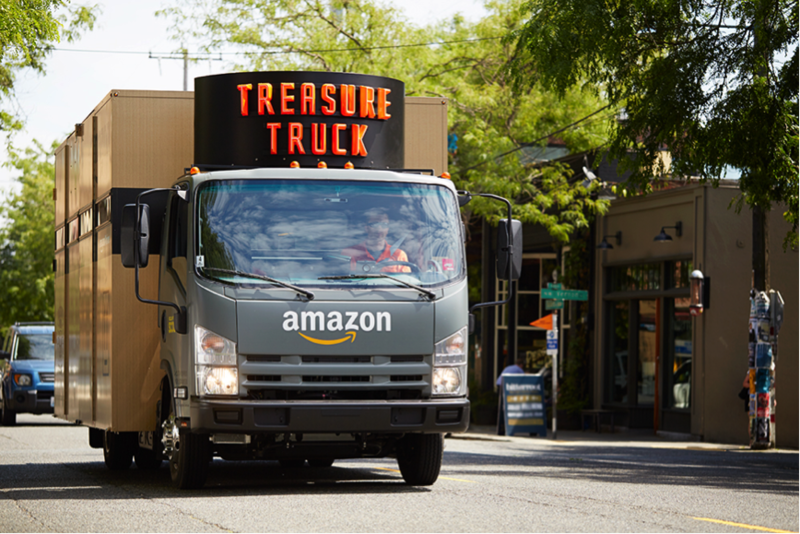 They are now running a Treasure Truck, which is basically a store on wheels that carries limited quantities of one product each day. Shoppers can order a product via the mobile app and then collect it by meeting the truck at a designated spot. They are literally blurring the line between online and offline shopping. 15. Yext now syncs client location data with Google Search, Google Maps & ads via the Yext Google integration. 16. If you are using the schema aggregate ratings Markup inappropriately, you are taking a risk of getting penalized by Google. WordPress plugins that included the rating markups received manual penalties in Google search console. 17. Google is not only encouraging but also creating micro-moments. We recently tested non-branded keywords such as lawyers, dental clinics, restaurants & more, on both mobile & PC. We noticed that almost 90% of times Google autocompleted it with “near me”. 18. A Googler recently tweeted that Google doesn't want too many rich snippets in SERP as it may distract the users. It makes sense since, if all the 10 organic results start showing 5 stars then it will be difficult for searchers to choose one, as he/she will be overwhelmed by too many eye candies. Expect that RankBrain will determine how many rich snippets are too many & that it may vary by location and query. 19. Google published the category files list of all the business categories used by Google My Business by country. 20. Here is an article that can help you understand the review giant “Yelp” a little better. The article said that it is not against Yelp's terms of services to ask your customers to review your business on the platform. 21. Enterprises are so focused on internal politics, gaining new franchises & proving their worth to old franchises that they are underutilizing local marketing. The small business owners can cash on this opportunity (which they often do) and compete with the giants. Here is an article that illustrates this scenario clearly. 22. Whitespark published the Best Citation Sources by City & Category for the USA, Canada, UK & Australia. 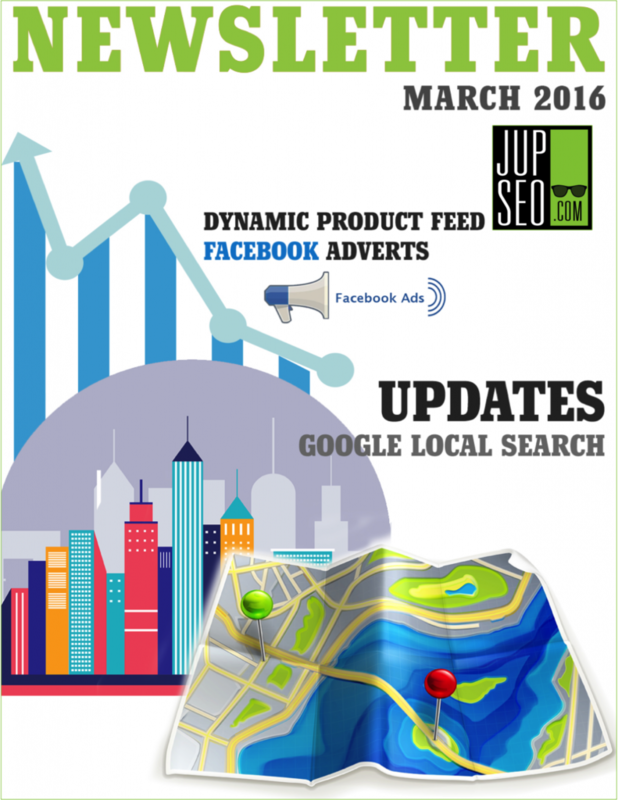 Go through it, as the results are worth your attention and can be very useful for every local marketer. It answers numerous questions about data distribution. 23. If you are looking for a successful link idea, these two articles can be of your help. Be sure to read both the articles - Nifty & Whitespark. 24. For advice on dealing with permanently closed listings on Google My Business, refer to this article. 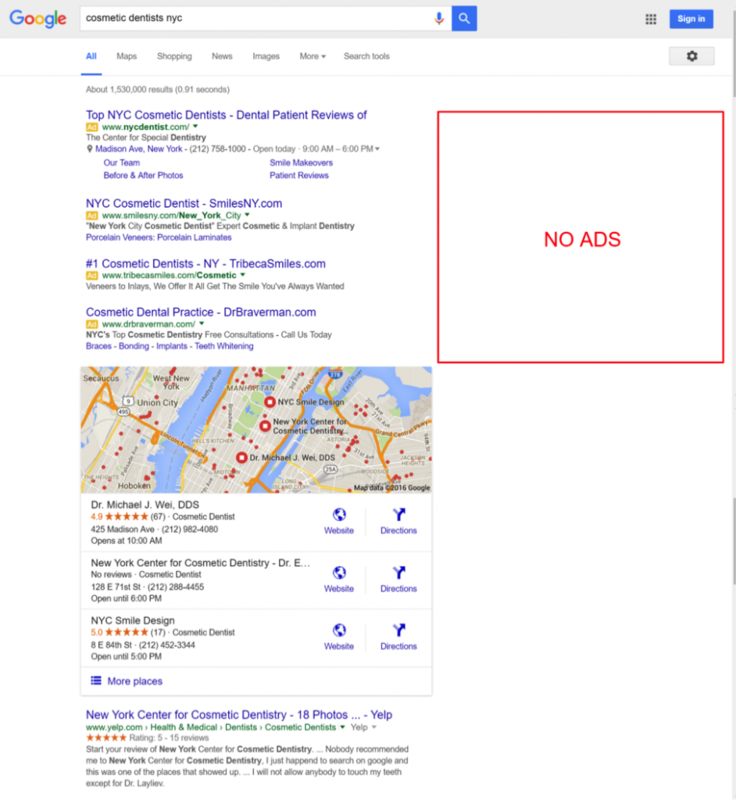 Google has rolled out a drastic change by removing ads from the right side of its desktop Search results and placing them only at the top and/or bottom of the pages. However, they have confirmed that they will continue to show Google shopping results & ads within Knowledge Panels when appropriate. They even added a 4th paid position on the top of search results for selected keywords as seen below. As you can probably guess, these changes have been made to increase the AdWords profits. 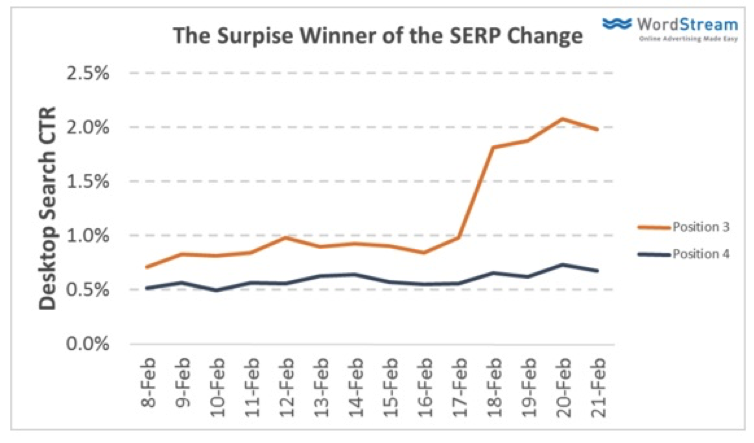 Although the above changes will affect approximately 7.3% of searches, as it is only for highly competitive keywords as of now. But people are still worried because no one wants to see a majority of paid results when they are searching for anything. Instead of worrying, take a deep breath and search for your keywords because a search results page for every keyword is different and so is the entire layout. These changes will surely affect AdWords advertisers & SEOs, but to which extent, only time will tell. Some users are overwhelmed with joy, since the removal of sidebar paid position will make their CPC data & reporting more accurate. On the other hand, some users are worried because less number of paid listing will eventually boost the prices. Experts are predicting that the rise in the cost of PPC ads will make the job of SEO more important, as many people won't be able to afford PPC like before. But it will also boost the ROI since you will get higher traffic from those ads. This article from WordStream sheds light on the effects on AdWords till date and also shows a 15% boost in traffic from the third paid position. Is it good or bad for SEOs? To be honest, this is not at all a win for SEOs because only one organic listing will be available above the fold for some search results. So to be in the game, it will become crucial to diversify your marketing channels. You can't rely on organic search alone and you have to invest in Google shopping and PPC in order to get the desired traffic. Google is continually increasing the space above the fold for videos, knowledge panels and now paid listings. If you’re a local business, ranking in the local pack now becomes more important than ever since paid searches are followed by local pack. So, getting listed in top citation sources is vital for success. Need help? We are here to assist you. Contact our sales reps if you need any further details. 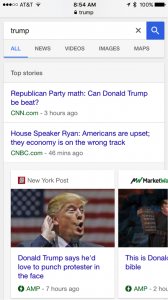 Google has started showing AMP in its mobile search results. Now if you search on Google from mobile, you will see web pages with a green thunderbolt & AMP sign, which indicates that they will load faster than any other pages. Here is a screenshot showing AMP. For those who don’t know about AMP (Accelerated Mobile Pages), be informed that it is a logical extension of Google’s growing mobile-first approach towards serving content. These pages appear on mobile devices four times faster than the same pages built without the technology; and they use 1/10th of the data. 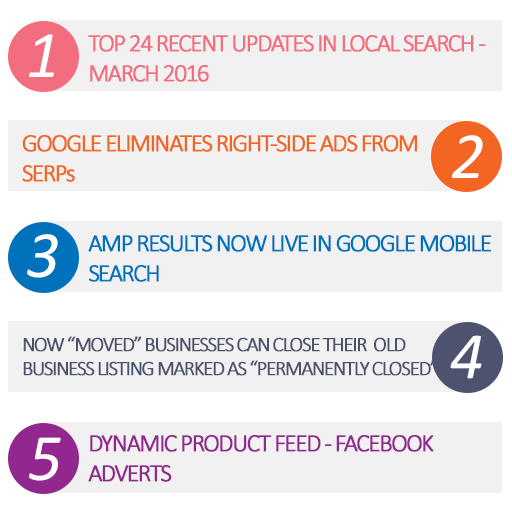 From the very start, AMP pages are dominating mobile news results. So if you are a news publisher, now is the time to opt for AMP because people will appreciate the convenience you will be providing them and hence, you can expect a boost in your traffic and rankings. Googler John Mueller recently stated that “AMP is not a ranking signal now, but it can be in near future.” But does it even matter? Because AMP pages are placed in the top stories carousel, above the rest of the mobile search results. So what is the need for an additional ranking boost? Google has released many useful resources to help you get started with AMP content and how you can get included in that top stories carousel. We highly recommend following Google's guidelines for best results. However, you can reach out to us if you have any queries or you can also get in touch with Google directly, via this forum. Pro Tip: Google has repeatedly stated that people love speed & it is an important ranking factor & crucial to your long term success. So even if you are not a news publisher, you need to speed up your website's loading time. Need help? Get in touch with our reps to boost your website loading speed. In last couple of years, there have been some reports doing rounds in media circles, that there are quite a few businesses that have issues with their Google Search listings being shown in searches as “Permanently Closed”. This indicates that a business has either closed down or moved their business location to a new place. 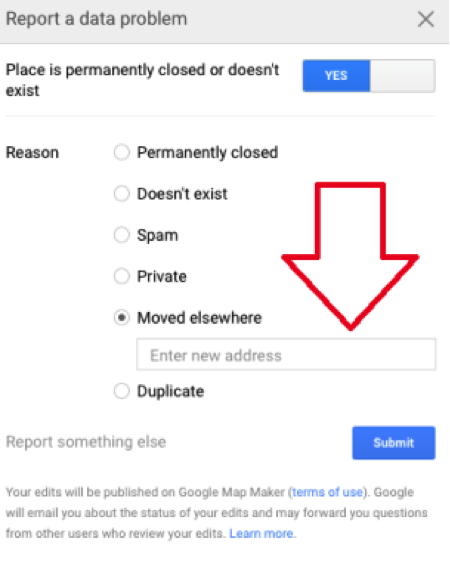 In case, relocating businesses fail to update their NAP (Name, Address and Phone Number) citations in the Google My Business search listings then the relevant Google searches serve a big, red “Permanently Closed” notice to the searchers; instead of showing their new business address. The existing issue concerns many such businesses and Google acknowledges this fact. It is, in fact, trying to fix the issue through Google My Business support. Hardly reported in media circles, the solution to the existing issue that concerns most businesses lies in the Google Map based feature called “Moved”. Why does the problem arise in the first place? The problem arises when a business relocates to a new place without updating the new business address to its Google My Business Page. Google on its part, instructs the moving business to update its new business location as that will enable it to be in touch with its business contacts, photos, reviews, followers and other business related information. More often than not, businesses are hardly aware or forget to update their business listings on Google’s My Business dashboard. 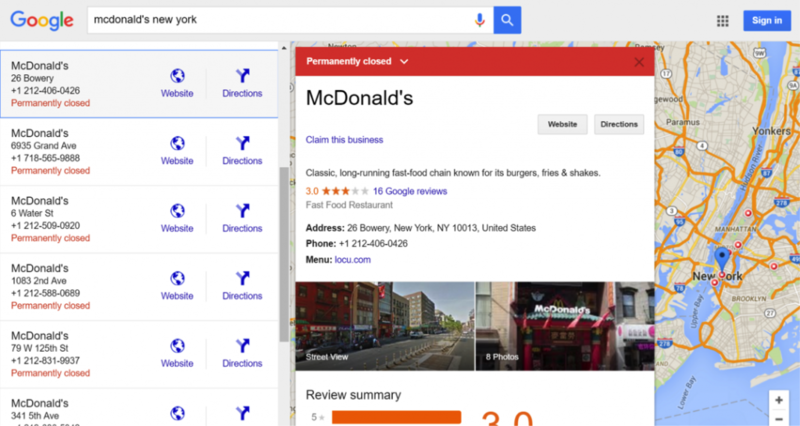 As a result, many such relocated businesses forget to claim their business listings and often end up being listed as Closed, since they don’t following the Map Maker’s rule that informs businesses to close listings before relocating. As a business owner, if you’re thinking of relocating or have relocated and are facing the same problem, then just follow these simple steps to successfully update Google with your new search listings. First and foremost, contact Google My Business Team through their Twitter handle rather than contacting them over the phone. After connecting with them via Twitter, ask them to mark your old business listing status as “Moved” which is not the same as “Permanently Closed” business status. There are many such businesses that have little or no information about this existing business status, which doesn’t have any reference either in Google My Business support center. It is available only on Google Maps and not on the Map Maker help page. So, now, you know how to mark your business listing as “Moved”. After a couple of days, you’ll notice the below changes once Google updates your business listing. This will erase your Google Search and Google Maps listings completely, making it impossible to find it in the searches. The removal of your listing will also terminate the “Permanently Closed” message, making it completely disappear from Google searches. Google uses a 302 HTTP status code to set up Google Maps URL to display your old business location. Your online visitor will be redirected to the new business location when he stumbles upon the Maps URL related to the old business location. As a part of the moving process, your old business reviews from the closed business listings are redirected to your new business listings. Just double check the entire process if that doesn’t happen. It is impossible to track your previous Map Maker business listings without making use of the direct URL that uses your business related CID number. Hence, your previous business listing will sport a “Permanently Closed” status instead of displaying the “Moved” status on the Map Maker. This is where Google is trying to fix the issue that will enable a business to edit through Google Maps. If that happens, then it will save businesses a lot of time which gets used up while trying to reach Google My Business support center to get things done. As seen in the screenshot below, Google Maps sports a “Moved” button that comes under “Suggest an Edit” section, which enables the user to update their new business information. 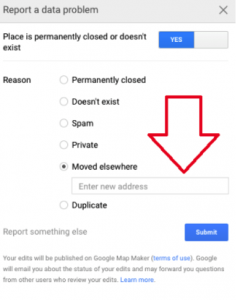 As mentioned above, you may not accomplish your task by simply hitting the “Moved elsewhere” button, since that may trigger the “Permanently closed” label to completely disappear from the searches. And if you do press the button, then it will only display the little red banner with the “Relocated” message as seen in the image below. Here you can see, your Google Maps and search result listings now sport a massive red label marked as “Closed”. This is how you need to initiate the process, which will hopefully help a lot of struggling businesses that are finding it difficult to make ends meet. Here's a mind-blowing update from Facebook that will revolutionize your advertising experience with the social media giant. Marketers using it may get a whopping 34% increase in their click-through rate and a 38% reduction in their cost per purchase. Facebook has made it so easy for advertisers that you can now benefit without putting much effort. You need not create an ad for each product or every device anymore. Just create a simple ad template and you are done. All you need is to know how to set-up a basic ad campaign & create custom audience and that's it! You are set to put your store on Facebook ads. Catalogue/feed is a simple list of products that you would like to advertise on Facebook. It consists of product ID, name, description, landing page URL, image URL, availability and so on. To upload a product catalogue all you need is a 'Business Manager' account along with a power-editor. Once you are done with product feed upload, it’s time to set-up your tracking pixel. You can directly create your tracking pixel from the 'Create Custom Audience' option on your advertiser account. Once you have created custom audience, place the tracking code on your website with the help of your developer. Provide your adverts with a title and use keywords to pull in images, product names and prices more dynamically from your product catalogue. You can also choose to show either a single product or multiple products at once, using the Carousel advert format. Facebook users who browse through your products on your website/app, are automatically eligible to see your dynamic product ads. Each ad is specially formatted for your shoppers as per the products that they browse, with keywords, images and more pulled directly from your product catalogue. To get started, select the 'Product Catalogue Sales' objective in Power Editor or contact a Facebook Marketing Partner. If you do not have any product feed, you can still go ahead with Carousel Ads. Happy Advertising!